Goals: 1:0 Mazurov (14, Danilin), 1:1 (Lewis, 16), 2:1 Kalashevsky (48, penalty). 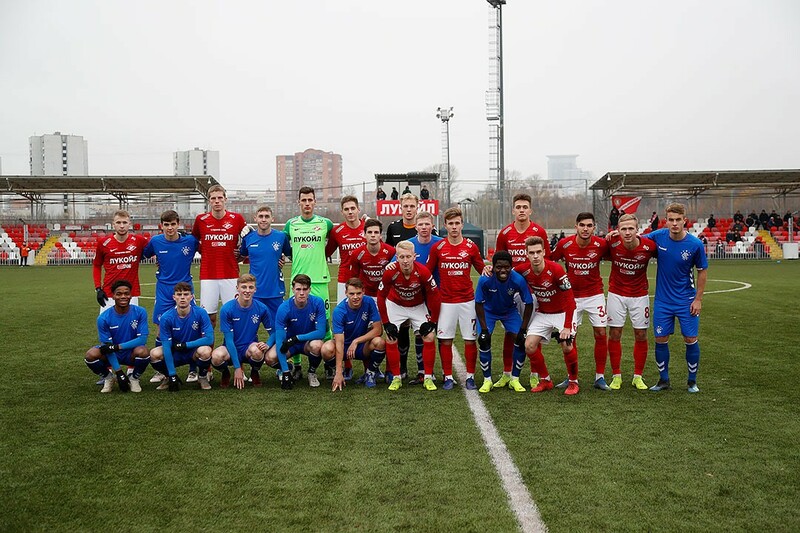 Two weeks ago Spartak U21s managed to come back from 2:0 down to draw Rangers in Stirling, near Glasgow, courtesy of the goals from Lopatin and Morgunov in the second half. Today our youth team hosted their counterparts from Great Britain in Sokolniki, the result being quite different. The idea of playing those matches altogether belongs to Steven Gerrard: he was the instigator for the youth outfits to face one another on the day senior teams do likewise. 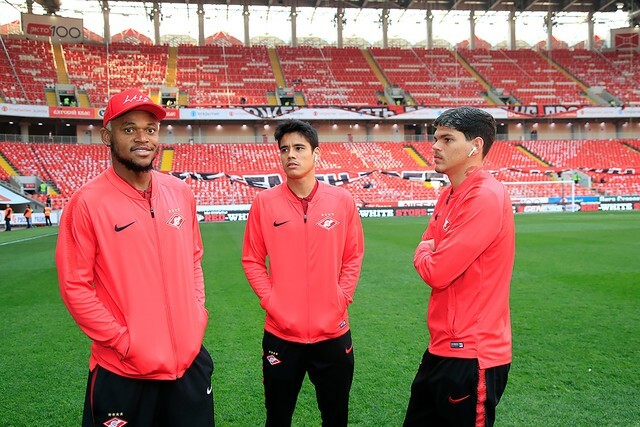 Last season the legendary Liverpool midfielder coached the Reds’ youth side, which came to Moscow to play Spartak in UEFA Youth League. Our side came out on top back then. — I don’t have the best of memories from that visit, — said Gerrard in an interview with our press office. 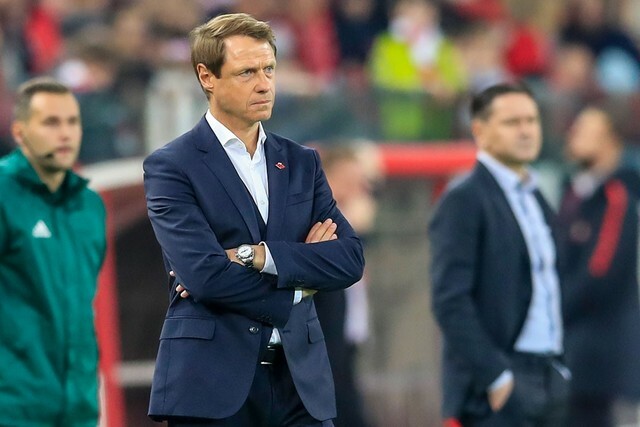 — Spartak have beaten my team 2:1 on an artificial grass. It wasn’t right to play on such a surface. But then we’ve had our vengeance at home — 2:0. — Maksimenko, Rasskazov and Ignatov were part of that team. Now they are part of the senior set-up and faced Rangers at Ibrox. — You faced Spartak yourself in the Champions League 16 years ago. Any memories from that game? Our U21s team managed to open the scoring in Sokolniki pretty quickly. Danilin cut through Rangers’ defense in style, before passing the ball to Mazurov, who found the bottom corner. The visitors equalised almost instantly though. An intricate free-kick combination led to the equaliser, though it has to be saif Poplevchenkov and the defenders could have cleared the lines earlier to prevent it. As it was, Mayo stuck the ball into the back of the net from close range. Before the break Spartak and Rangers exchanged a number of dangerous attacks. Lopatin missed our best chance after being set-up nicely by Danilin — Rangers’ keeper came to the rescue. The visitors were close to going in front following a run from Dallas — but Poplevchenkov was equal to it. Right after the restart Spartak took the lead. Markitesov found the onrushing Sazonov with a through ball inside the box, who was brought down. Kalachevsky made no mistake with the spot-kick. Rangers were close to equalising again. 15 minutes before the final whistle Atakaji’s spectacular distance shot crashed off the woodwork. 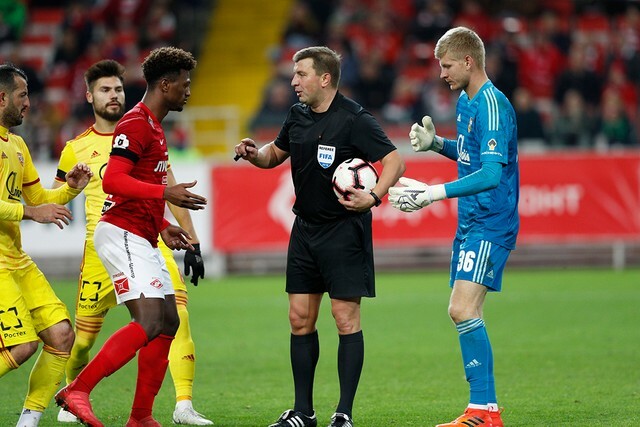 Soon after Mokhbaliev received his marching orders, having got a second yellow for an unnecessary foul in the middle of the park. However Spartak’s U21s weathered the storm from Rangers in the latter stages, despite going down to 10 men. The visitors failed to create any notable scoring opportunities. So, over two, albeit unofficial, legs, we came out on top 4:3.